We join to find like minded people who want to make the world a better place. 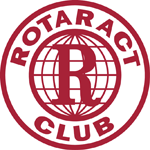 Rotaract is a service club for people 18-30 years old founded by Rotary. Our members are vocational students, university students, and people working everyday jobs. Rotaract members want to give local and global community service. We have such precious time between work or school, and other competing activities. Our Melville City Rotaract Club is focused on less time spent in meetings and more time spent delivering service. Our members bring the service ideas into Rotaract. Most of our members will meet once a month on a Sunday evening to collaborate on the upcoming service. The rest of the details are sorted without much fuss. We catch up and get into the community. Our community is local and global. One week we may be partnering with another Rotaract Club that needs extra hands to collect food and toys for those in need or restore a nearby natural corridor. Another week a couple of our members may be overseas helping distribute disaster relief or installing water filters at a school. We don't have to go this alone. 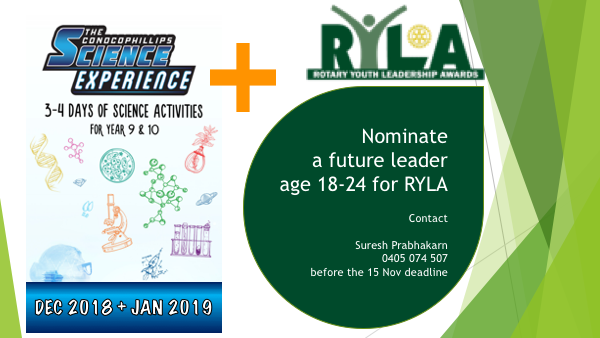 We have 3 local Rotary Clubs sponsoring us. They guide us and partner with us where our people want the help. We might have questions about budgets, insurance, or fundraising. They share their equipment and if we want, can advise us on suppliers and potential donors. 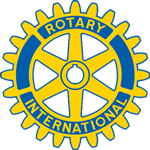 There are lots of experienced Rotarians to support us. Further, the Rotary District 9465 can help us facilitate interstate and overseas service projects. New members and friends are welcome to attend. Share your news and be part of the events on Facebook. We'll let you know about the next upcoming service activity or meeting. Our members choose the events, so dates vary. Show up. Bring a friend, too. Come back and return regularly. Membership fees are set by the Melville City Rotaract members. As a group, we keep our costs where we can fairly afford it. We look at what funds we need and decide how much we can generate from fundraisers, and sharing. We look at where can save money through in-kind donations and our own work.